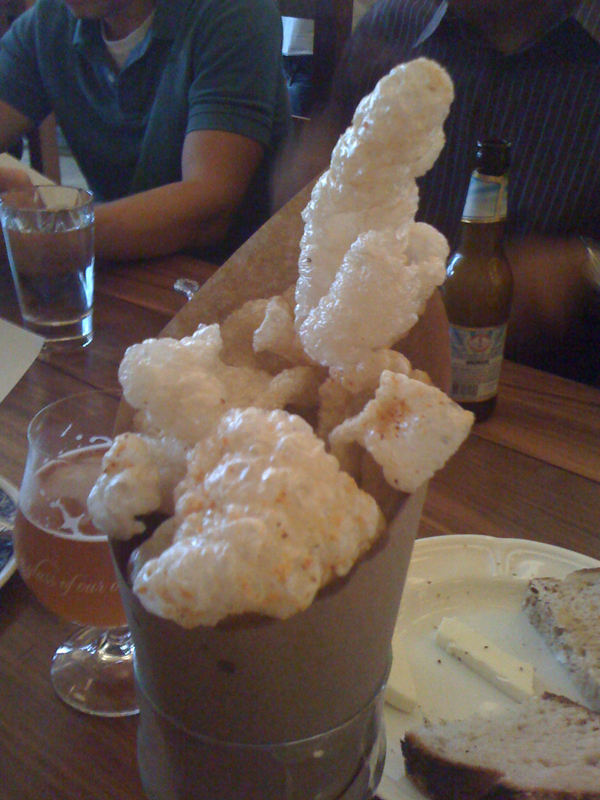 In Hop Cast episode 92 Brad Chmielewski and Ken Hunnemeder are at The Publican in Chicago talking with beer director Michael McAvena and executive chef Paul Kahan. The Publican and Two Brothers Brewing Co. came together to collaborate on a one-off beer to be served during a beer pairing dinner at the Publican. Michael McAvena took a trip out to Warrenville to brew the beer with Jason Ebel, founder/owner of Two Brothers Brewing Co. The beer they brewed was a sour mash triple that was available as is and also in two different blends at The Publican beer pairing dinner. 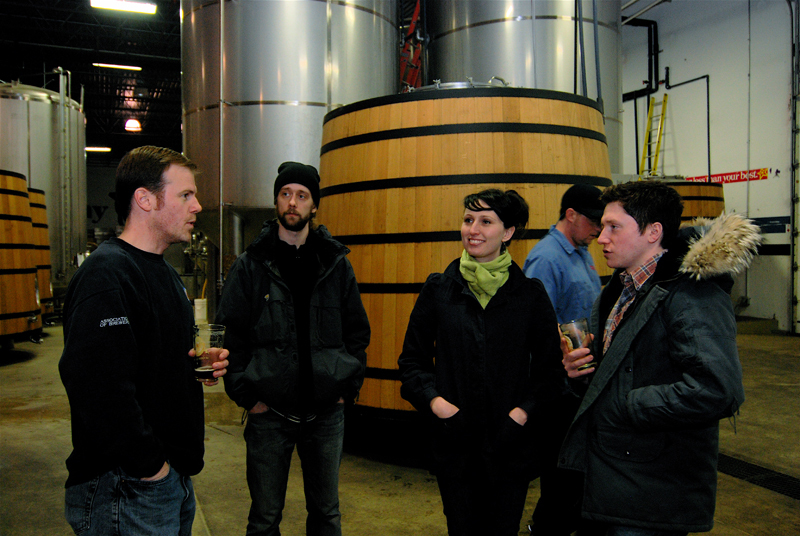 One of the blends was the Two Brothers Bitter End Pale Ale, and the other was with an especially rare Two Brothers Brett beer that was the second beer brewed when they opened their current brewery in 2007. It was a great trip to follow along the process from brewing the beer to enjoying it it along with the five course meal at The Publican. 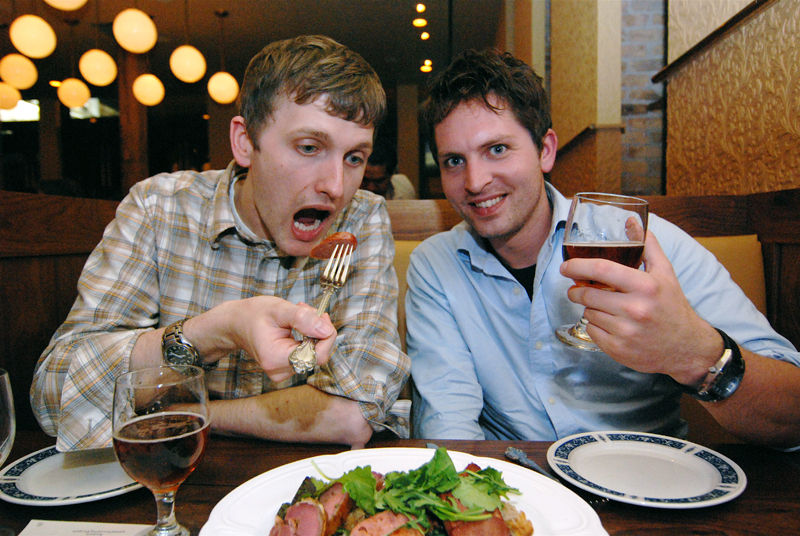 This sort of collaboration takes the idea of beer pairing dinners to another level. Brad and Ken couldn’t have asked for better beer or food to kick off the week of the 2010 Craft Brewers Conference. 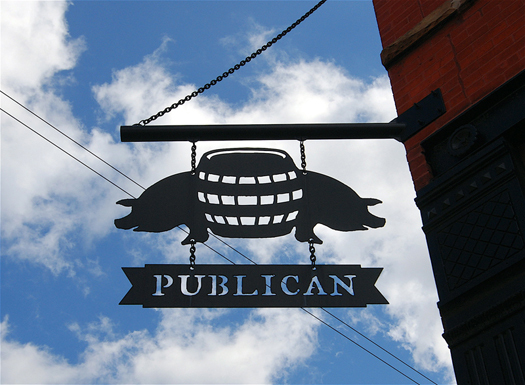 Be sure to visit The Publican because they always have some sort of rare beer on tap and delicious food to pair with it. Having issues watching this video? Try the Quicktime (237.6 MB). 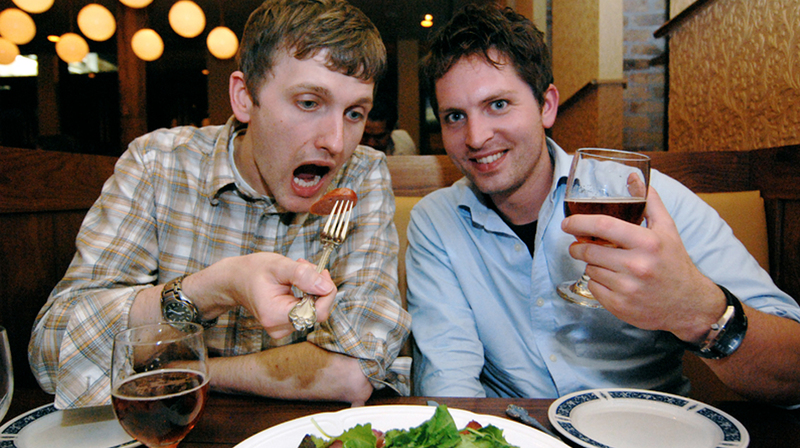 To kick off the week of the 2010 Craft Brewers Conference two powerhouses have joined forces to create a beer dinner that will undoubtedly be special. Two Brothers Brewing Co. and The Publican are known for their excellence in beer and food respectively, but they’ve taken this event one step further. 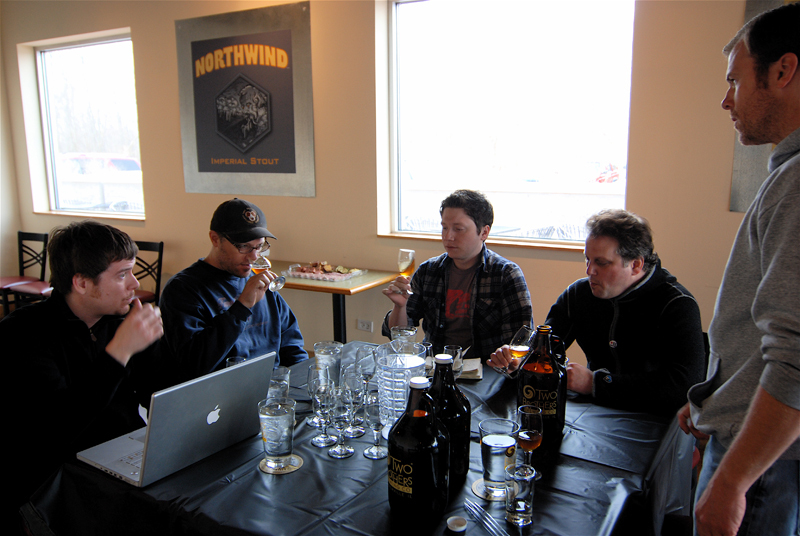 They have collaborated on a one-off beer that will debut with one of the courses. Michael McAvena, beer director at The Publican, has a background in homebrewing so it seemed to be a no-brainer that he go out to Warrenville and make a beer with Jason Ebel, founder/owner of Two Brothers Brewing Co. 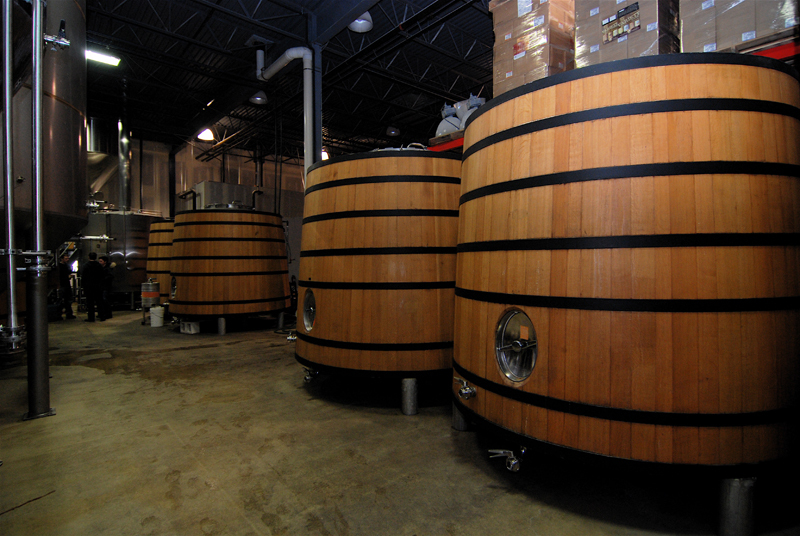 The style is said to be a sour mash triple that will be available as is and also in two different blends. One of the blends is with the Two Brothers Bitter End Pale Ale, and the other is with an especially rare Two Brothers Brett beer that was the second beer brewed when they opened their current brewery in 2007. 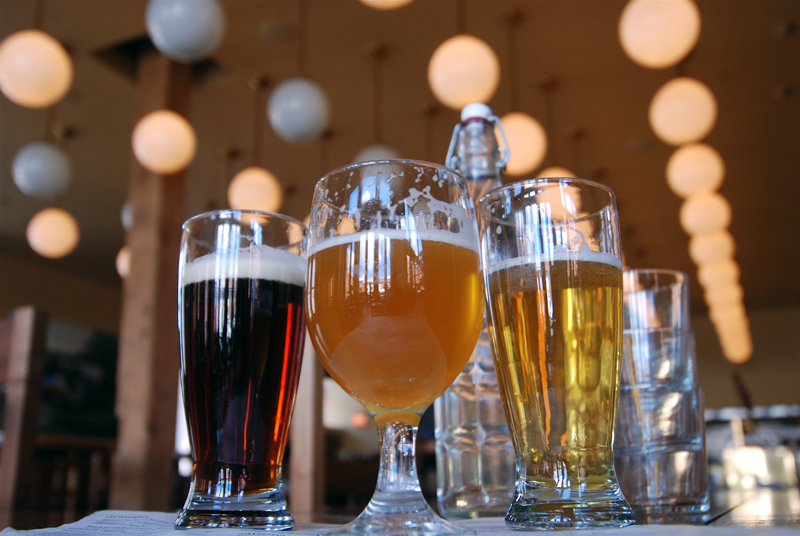 Executive chef Paul Kahan is passionate about his food and his beer, which shines through every night at The Publican. 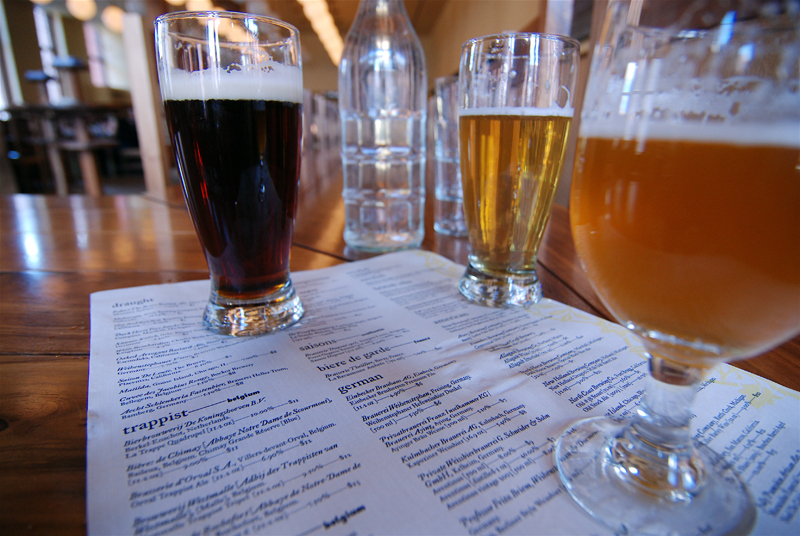 It has quickly become a destination spot for beer drinkers looking for a flawlessly executed menu and a fantastic beer selection to boot. A glimpse at the menu should say everything. Keep an eye out for the upcoming Hop Cast episode featuring the brewing process and highlighting the dinner at The Publican. Hop Cast will be there Monday, April 5th and you should be too! The price of food is $55, beer will be $20. 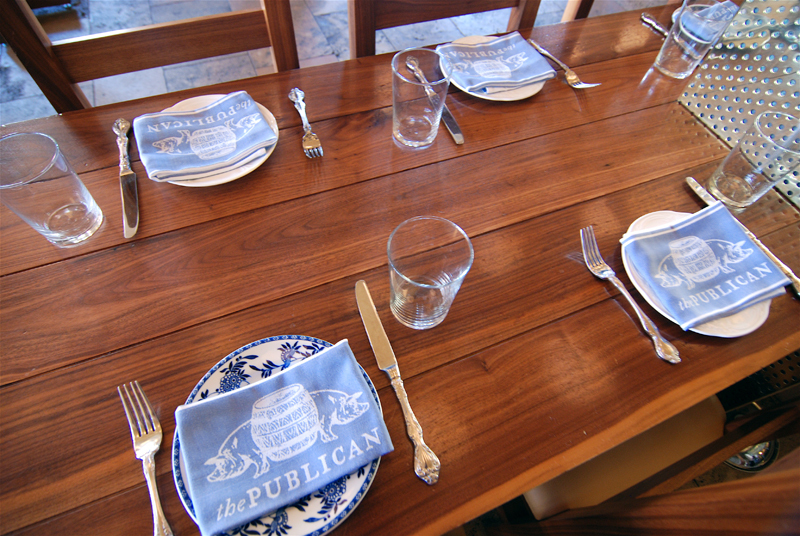 This past week I had the opportunity to go to the very hyped up restaurant The Publican. There were six of us who went; Maeve Price, Don Radlund, John Burkett, Shawn Riggins, Ken Hunnemeder and myself. Ken had been to The Publican earlier in the week with his family for brunch and really enjoyed it and couldn’t pass up a night of trying some great beers. Since The Publican has an outstanding Belgian beer selection, I thought the dining experience would be worth sharing with the Hop Cast audience. I went there expecting The Publican to be kind of an upscale Hopleaf. The Publican is not at all like Hop Leaf. Hop Leaf is a beer bar that happens to serve good food; The Publican is all about the food and just happens to have good beer. The Hop Cast is all about the beer so I’m going to try and focus on the beer first and food second. Finding The Publican can be tricky if you don’t know where you’re going. Its located in the West Loop in the Fulton Market area hidden next to factories and art galleries. I had made a reservation for the six of us last week so we had no problems getting seated. 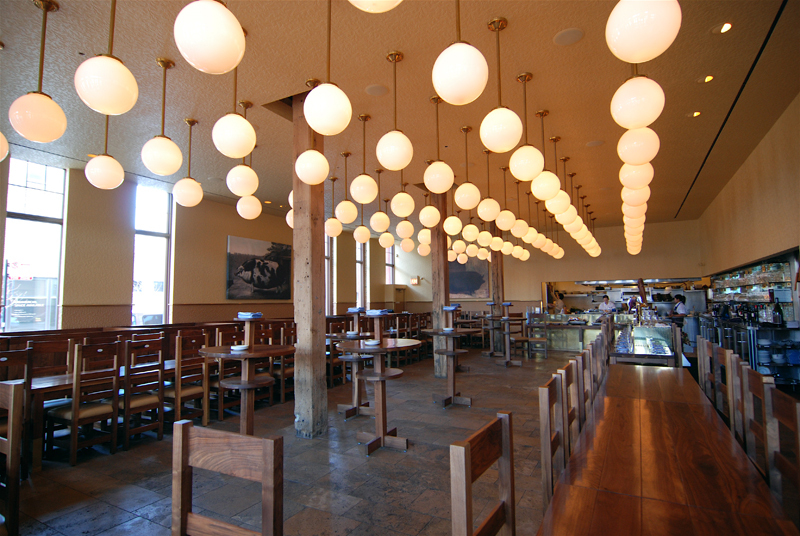 The atmosphere is rustic and noisy, you are seated at large communal tables with strangers sitting right next to you. I didn’t mind the communal seating, it contributes to the whole dining experience. Once seated we began to look over the large beer menu. The menu is one large sheet of paper so much easier to read then the book Hop Leaf gives you. 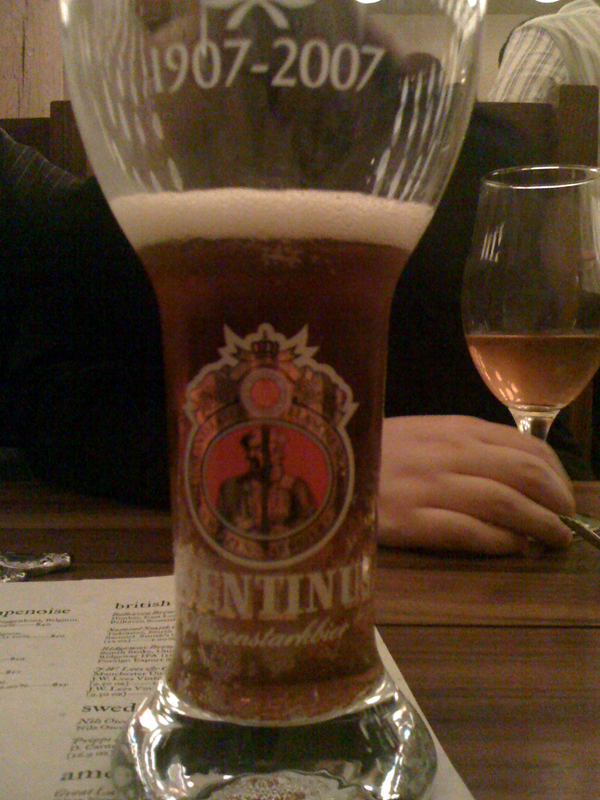 Most of the beers on the menu are belgian beers which can be confusing and difficult to figure out what to pick. As a result of that it makes it easy to go for the things you recognize like the Alpha King or Left Handed Milk Stout. But I was in the mindset of going out of my comfort zone so no matter how much I might of wanted a Goose Island Imperial IPA I wasn’t going to do it. While looking over the menu I just needed to point out that our waitress was amazing and new a great deal about the beers on the menu. Too bad I didn’t have a Hop Cast card to give her that night I think she would of loved what we do here. On the menu I was drawn to the abbey beers. Abbey beers are brewed by commercial brewers, and license their name from abbeys; some defunct, some still operating. Since there were only three beers in this section I picked the first one the Witkap Pater Singel / Stimulo from Brouwerij Slaghmuylder. The Witkap is a Belgian Pale Ale coming in a 11.2 oz bottle and has an ABV of 6.0%. When the beer comes out they pour some out into the glass and leave the rest in the bottle for you to top off. The Witkap pours a light cloudy golden color which seemed spot on for a bottle conditioned Belgian. It pours with a small white head that hangs around till the last sip. A light sour aroma comes out but is backed up with some grains and hops. In the taste, the sour is more tart with a good lemon and orange citrus to clean it up. This was a great beer to start off the night with, refreshing and slightly sour and very drinkable. But if you’re looking for something even more drinkable then you might want to check out the Blanche de Bruxelles from Brasserie Lefebvre SA that John Burkett ordered. 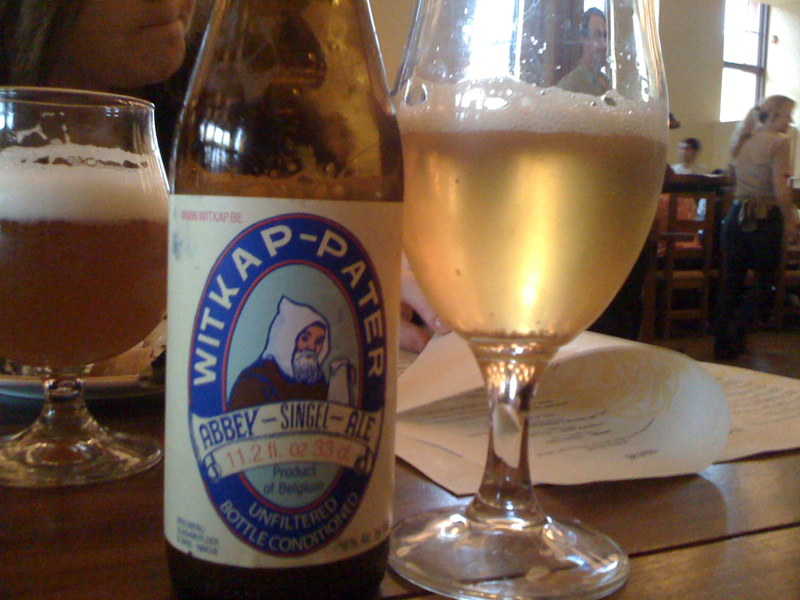 This one was recommended by our waitress, it is a Witbier and comes in at 4.5% ABV. 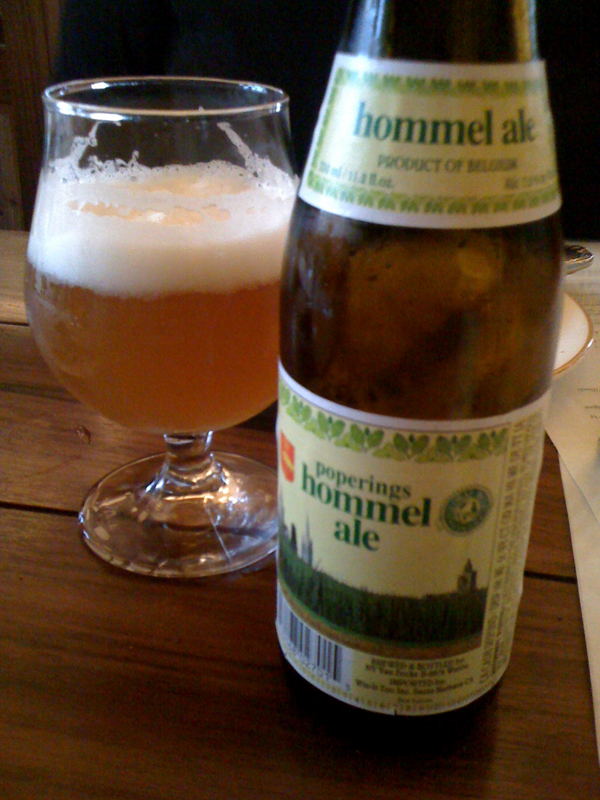 Maeve wanted something with more hops so she ordered the Poperings Hommel Bier from Brouwerij Van Eecke N.V. This isn’t your typical IPA but an outstanding Belgian version. Ken ended up with the standby of the Alpha King since they were out of his first choice of beer. With first drinks out of the way the food started to pour in… we ordered a lot. 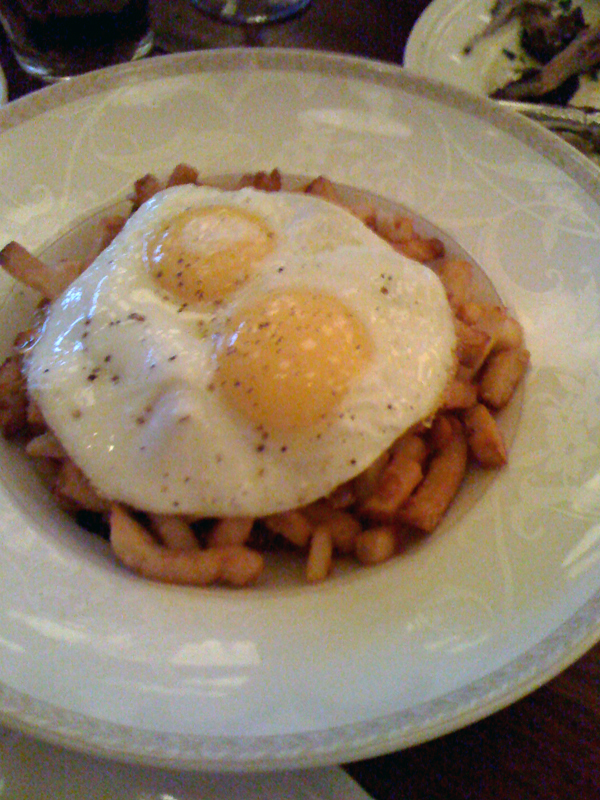 Pork rinds, frites, sardines got us off to a decent start. The sardines were maybe my least favorite thing we ate that night but definitely weren’t terrible. Next came out the duck heart, beef tongue, farm chicken, sea bass, and ribs. 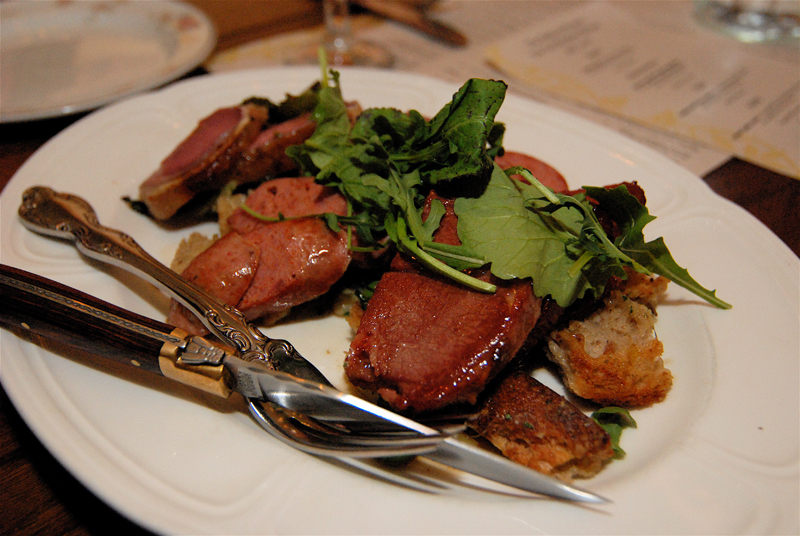 Hands down my favorite dish of the night was the duck heart. 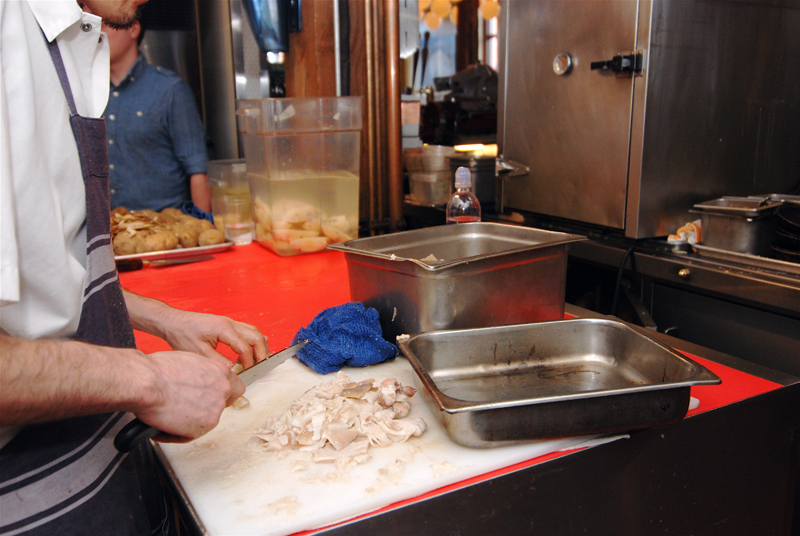 It is great that The Publican tries to use as many local farmers as they can for their meats and produce. With all this food coming out it was time for some more beer. 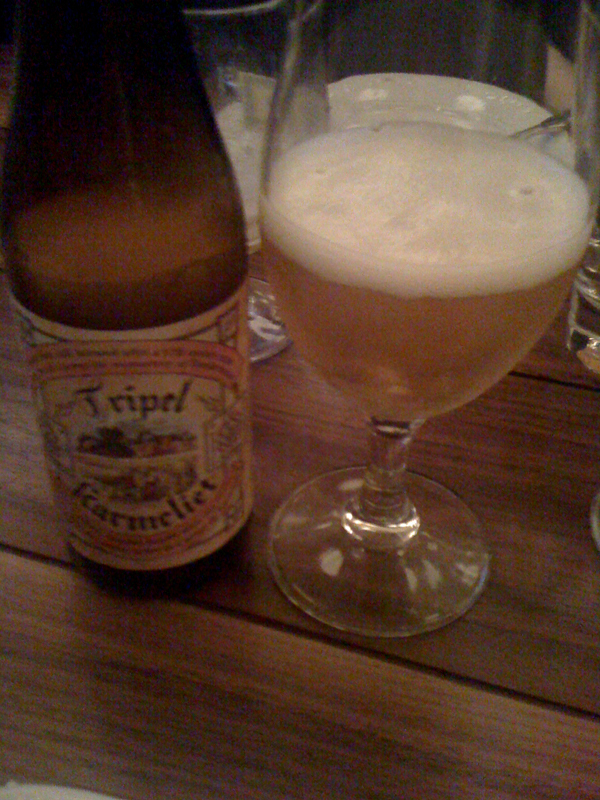 Next up for me was the second beer in the abbey beers section, the Triple karmeliet by Brouwerij Bosteels. This was a great and complex beer, again a slight sour nose with orange and grass. A soft floral taste with spice and bitterness. Really it seemed to have something new in every sip. I wasn’t sure what Ken was doing at the other end of the table, he ordered up a Duvel for his second drink. 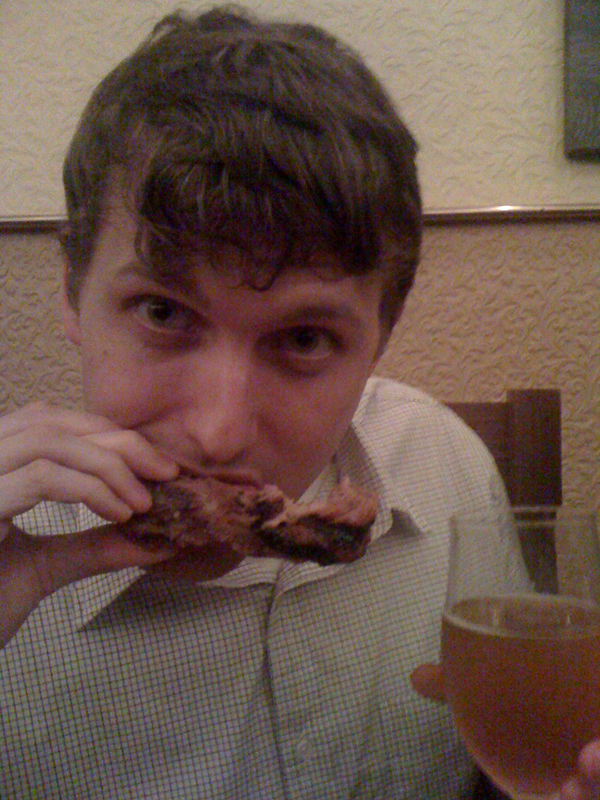 A solid and tasty beer sure but come on…you are at The Publican, try something new buddy! Maeve who is stuck on the IPA’s went with the Ridgeway IPA, which was fun because it came in one of those oddly shaped english bottles. A few more dishes of food came out and we chatted, ate and drank. Looking back I can’t believe we almost didn’t order a third beer but I’m so happy we did. Ken who had been ordering light redeemed himself with his last pick, the Brabant from Avery. I can’t believe I liked this since it was a wild ale and I’m not one to love a sour ale but tonight I was going out of my comfort zone and trying anything and everything. For my last beer Don and I decided to split the Aventinus Vintage 2003. 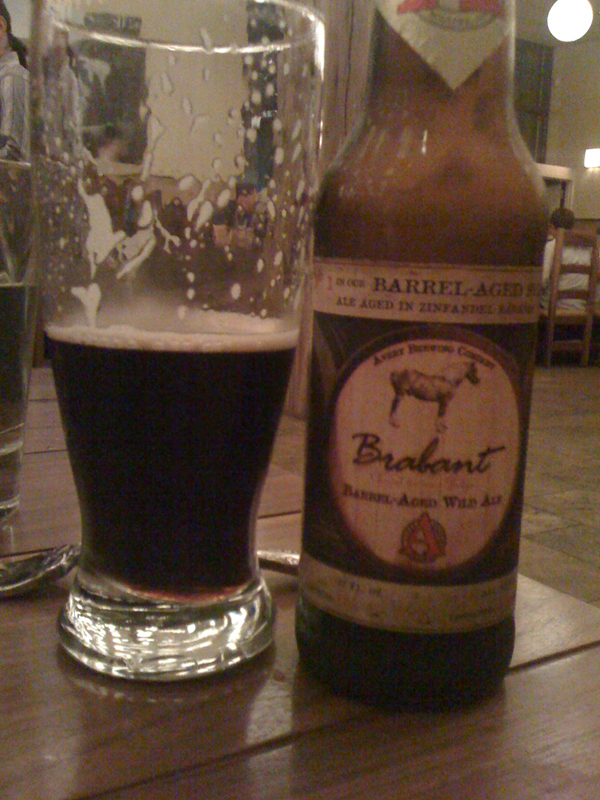 This beer rocked and was maybe my favorite of the night. Over all it was an outstanding night at The Publican and I had a fabulous time eating and drinking some things I might of never tried. I think everyone else at the table would agree. 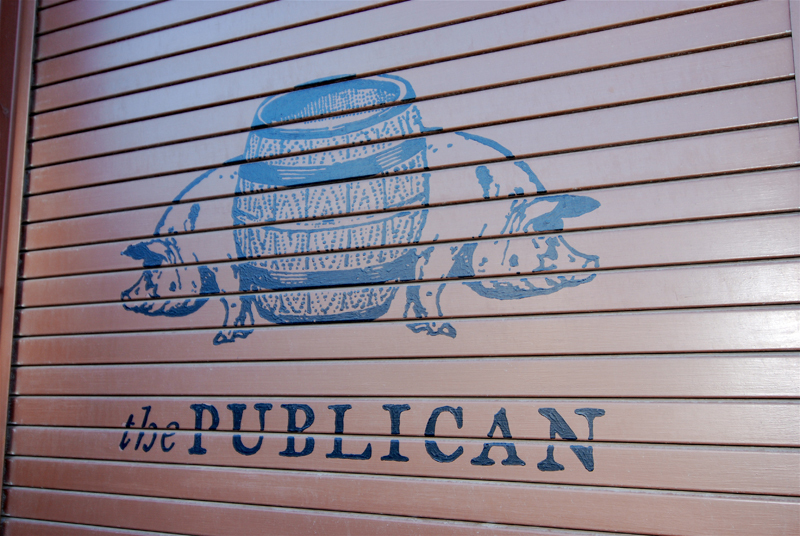 In the end The Publican is really hyped up and I don’t think it lives up to all the attention it gets. Sure it is great but the best meal I have ever had? I don’t think I could say that. One of the most interesting meals, maybe. I could definitely see myself maybe stopping in for a drink and some pork rinds but I don’t think I need to have a full meal. If you have some money to burn, then drink and eat like royalty for a night. At least you will be able to tell your friends you ate something crazy.